Osteoporosis is a disease that is more common in women than men. It is also significantly more common in those going through menopause. Bone density can rapidly decline during this time because of decreased estrogen levels in the body. The result can be thinning, weakening bones that can often lead to fractures in the hips, spine, and wrists. Luckily, these symptoms can usually be reduced by making positive lifestyle choices and balancing hormone levels. Calcium is the most important mineral for bone health. However, consumption of this mineral is useless without enough magnesium in the body. This is because without magnesium, calcium is not properly absorbed. You can find magnesium in its highest levels in raw spinach, as well as in nuts and seeds, such as pumpkin seeds and Brazil nuts. Try incorporating dark leafy greens, broccoli, great northern beans, and figs into your diet to get these essential minerals. In general, it is wise to get a blood test to see which vitamins and minerals your body may be low on in order to make sure this is not a factor in your osteoporosis. Vitamins D and K are essential for bone health and the absorption and retention of calcium. Vitamin D can be found in fortified cereals and egg yolks, and your body also makes it when exposed to the sun. Vitamin K, again, is abundant in dark leafy greens, as well as in dried herbs, Brussels sprouts, and broccoli. Protein in excess as well as a protein deficiency can have negative effects on your bone health. Too much protein can reduce the mineral density of cancellous bone, or spongy bone; too little protein can increase the risks of fractures. It is recommended to consume a balanced amount of protein and a low-fat diet. Plant-based proteins, such as soy-based tofu and tempeh, are one good option, since they are low in saturated fat. As an added bonus, soy contains phytoestrogens, which can restore estrogen levels in the body. Your doctor can help you calculate your optimal daily protein intake. A sedentary lifestyle is a primary cause for bone loss. Skeletal muscles help strengthen bones, so bones can become weaker from a lack of activity. As a result, they won't be used to the weight of your body, and this can cause fracture. Try easing exercise in with 40 minutes of brisk walking or another weight-bearing activity four to five days a week. Not only will this help your bones get stronger, but you will also feel more uplifted as well. For deep stretching and gentle strengthening of the bones, join a yoga class and enjoy the relaxing and pain-reducing benefits it offers. Cigarettes and alcohol are known to increase your likelihood of losing excessive bone mass among other conditions. It is a good idea if you are struggling with this to decrease - but more advisably, eliminate - both of these. There are many programs set in place to assist cigarette addiction, and there are many alternative herbs for relaxation like that induced by alcohol. Painful joints and bone loss are the last things you need during the difficult transition into menopause. 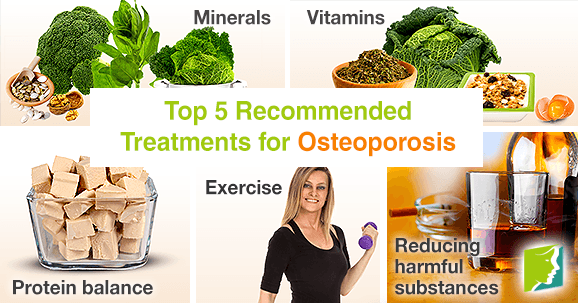 These treatments have been long celebrated for their ability to reduce your risk of osteoporosis. They can slow the weakening of the bones, while at the same time strengthening them and helping to prevent fractures.